A third year student of the Military Academy West Japan Genetics. She is ranked No.4 in the Third Year's carnival. Her limiter is Morrison. 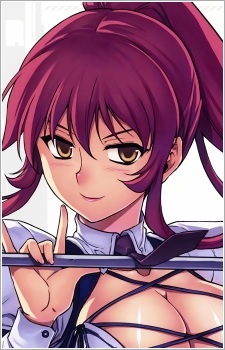 The fourth-ranked strongest third-year student from Switzerland known as the Slashing Trickster (暫撃のトリックスター Zangeki no Torikkusutā), she is also derogatorily known as Mad Dog. She wields a scythe called "Scythe Machina" (サイスマキナー, Saisu Makinā) as her Volt Weapon, and is a proficient user of the Accel Turn technique, being able to move so quick that she can attack from behind while starting out in front. Her Accel Turn is unique, as she can use Double Accel without the lag between turns. She was formerly ranked 4th among all West Genetics third-year students but is now ranked 2nd due to the passing of Chiffon Fairchild and the temporary retirement of Elizabeth Mably. Living in a harsh and sometimes unforgiving world, it is essential to be the strongest and have equally strong bonds. Here are 15 quotes from Freezing that embody a person's will to push the limits!